You can choose from the designs shown, or suggest your own design and colours. 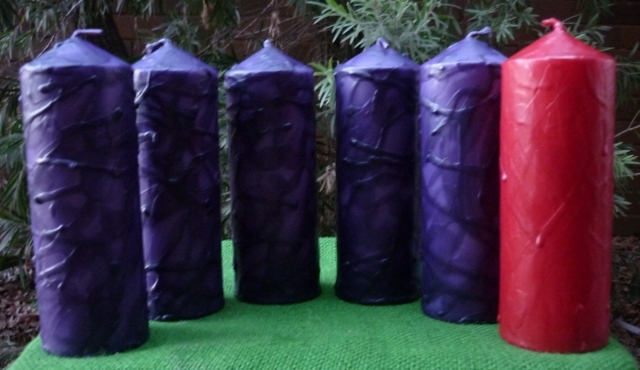 Candles can also be made for unique, special occasions. 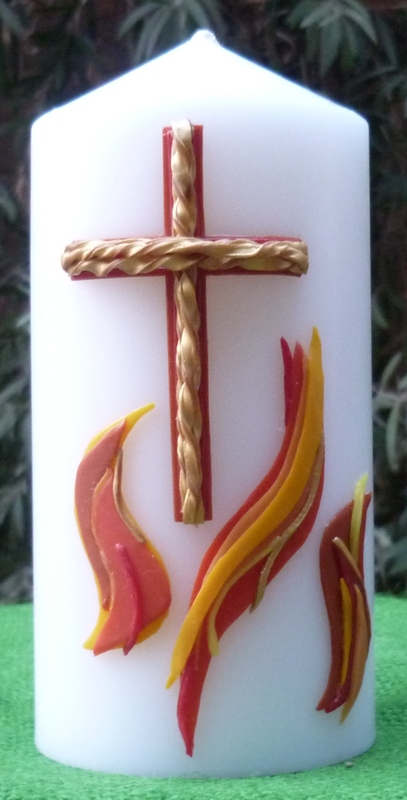 Most designs and colours can be incorporated on any candle. 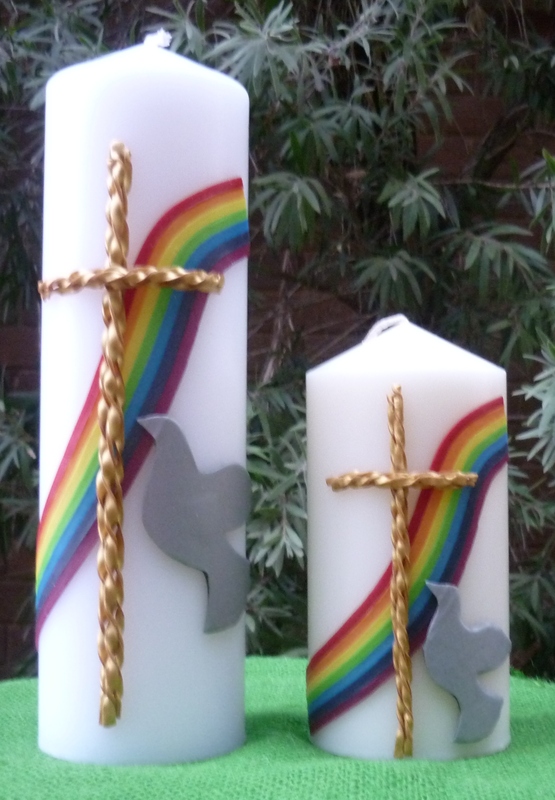 We can add any wording eg names and dates on baptism and wedding candles, and we can add photos or logos as required. All the candles are Australian made in Victoria. We then individually hand cut and decorate or hand dye, using only quality waxes and home-made dyes. 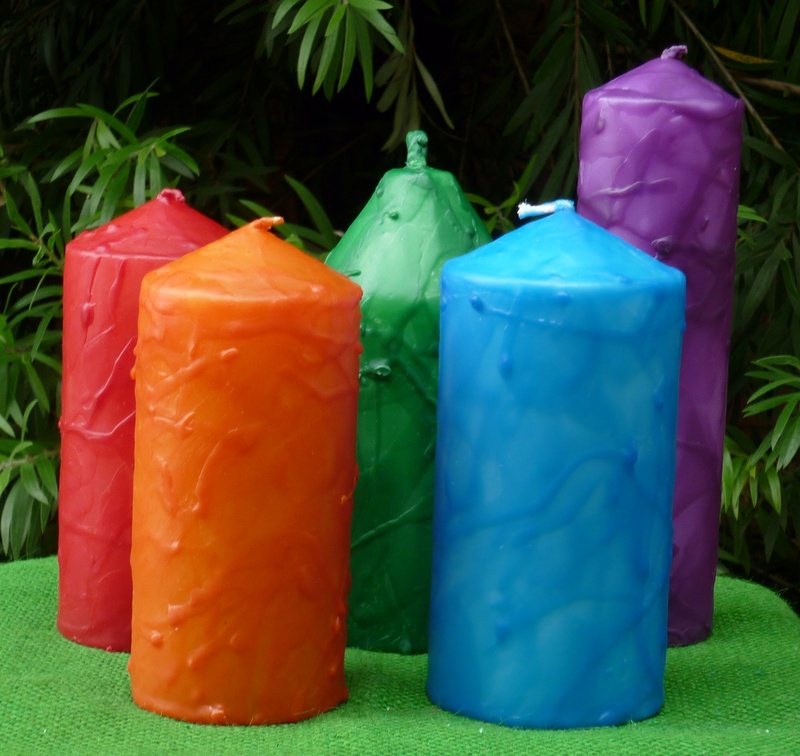 Sizes and prices are quoted for the various types of candles and the work involved. Final prices will include GST. While we aim to have your candles ready within 2 weeks of your order, allowing 4 weeks will guarantee readiness! 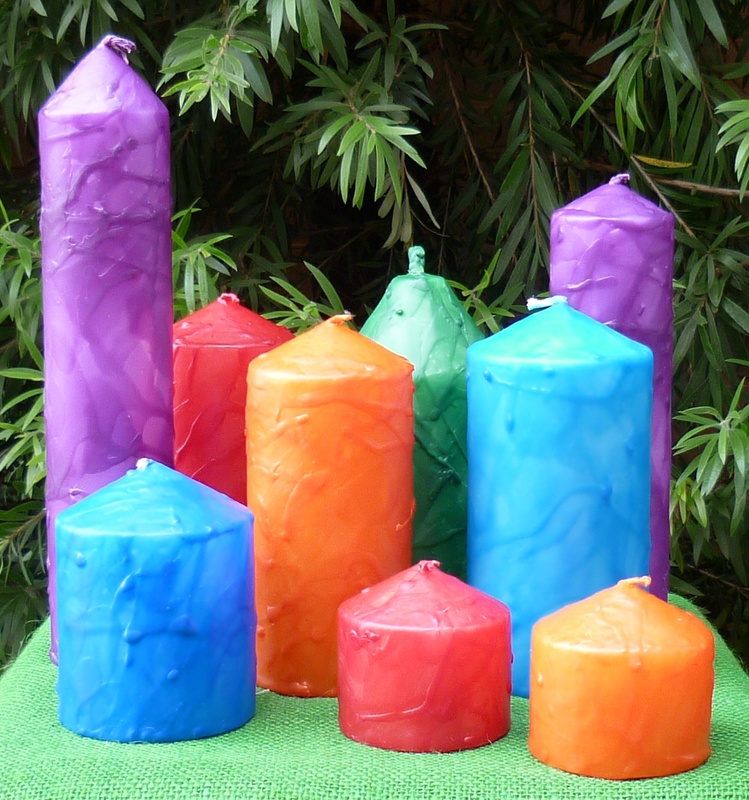 To minimise dripping and extend the life of your candles, keep wicks trimmed and straight. Dripping will also occur if candles are placed under fans. Please make sure candles are not left in direct sunlight, or in hot situations, eg. closed cars. 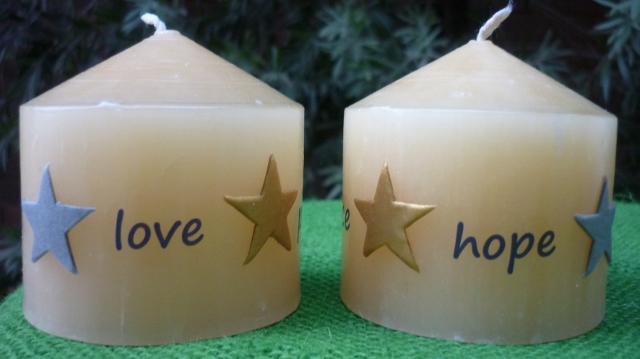 These candles are 'hand made by us, for you to share with others'. Proceeds support various projects within the Church and community at Mudgee. Postage and packaging prices vary according to the number of candles, type of candles and destination.